We are known for our outstanding customer service, and a big part of that is being able to answer our customer and potential customer’s questions. We have implemented a Guided Purchasing program, a Hardware Banding Guidelines Chart, as well as a live chat feature on our website in order to better serve our customers. In this post, we will go over three questions we are most frequently asked. 1. How do I find out what bracket will work for my pole? We highly recommend getting touch with an engineer, architect, or the supplier of your pole if you need structural advice. The data you obtain from them should be used in conjunction with the data on our site. Most poles can hold one or two banners, but you need to make sure your pole can accommodate the size of your preferred banner. 2. Does BannerFlex offer custom bracket lengths and accessories? Absolutely! We offer customized brackets and accessories that are not listed in our literature or our online store. 3. How do I attach BannerFlex brackets to my light poles? 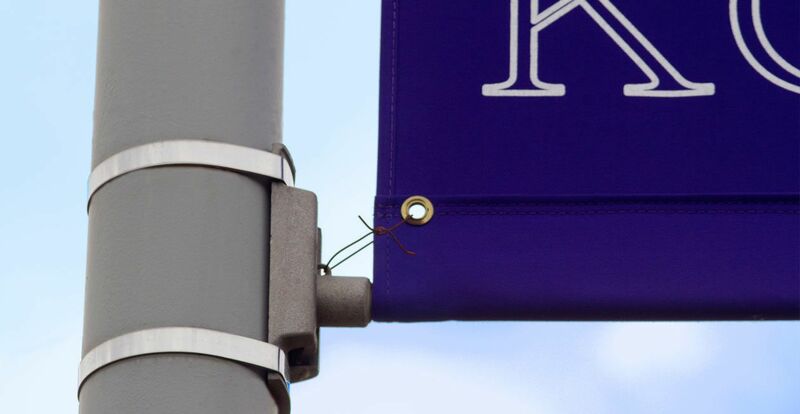 There are three options depending on your banners and poles: 5/8” Screw Gear Banding, Tool-Applied Band-It brand banding/buckles, and bolting. To find our which method would work best for your application, consult our Hardware Banding Guidelines Chart or go through our Guided Purchasing option for our online store. If you still have questions you can live chat with us through our website or give us a call. 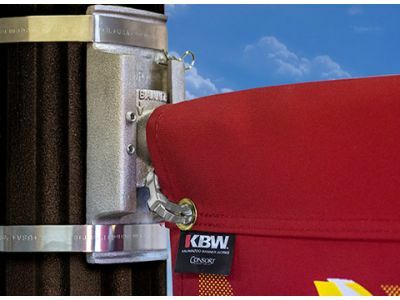 At BannerFlex, we know a thing or two about banner bracket hardware. We are even recognized globally for our BannerFlex light pole banner bracket products – which is no surprise considering we are the originator of aluminum and fiberglass combination brackets. If you have any questions, comments, or concerns about our banner bracket hardware, do not hesitate to contact us today!